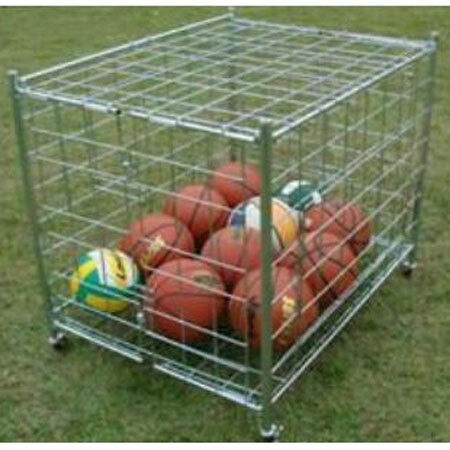 Heavy duty galvanized steel frame for durability. Will hold approximately 60 footballs, 40 volleyballs, or 30 basketballs. 31.5” x 34.5” x 43”.